In America today, the majority of households own at least one firearm. Guns have become an important part of the American lifestyle as it serves as a self defense armor. Also, it is used by families who hunt together, especially those who live in country or urban areas. A responsible gun owner should keep their guns safe, and the best way to do that is to store your firearm in a safe or lockbox. 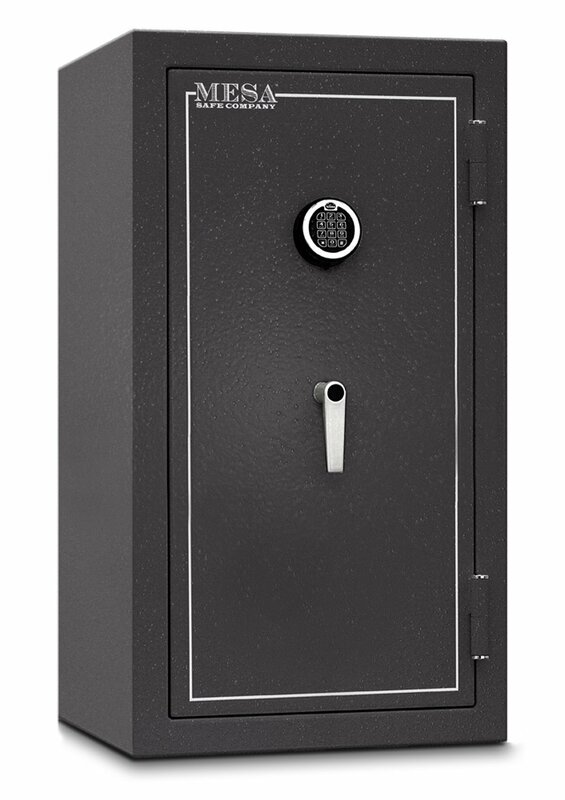 A safe is a hardened box with extra durable door and enhanced security features to protect the item inside it. Depending on your needs and the types of firearms you own, you may need a huge safe that can hold dozens of long guns, or you may simply need a small locking container to safely store your pistol. A gun is an expensive item that are easy to sell, so you need to protect it from theft or burglary. Liberty Safe and Security Products (Liberty Safe) is a leading seller of full-size residential safes in the US. The company manufactures and sells gun safes, home safes, commercial safes, fire safes and related accessories. Founded in 1988, the company is headquartered in Payson, Utah, and employs around 500 people. They offer products under three popular brands such as Liberty, Centurion and National Security. As of 2011, Liberty Safe have sold more than 1.3 million safes. Their current production output is about 450 safes a day, making the company the single largest manufacturer of residential gun safes in the country. The state of Utah became the center of American residential security containers (RSC) production largely because of Liberty Safe, and other related companies in the Salt Lake City area. The brand is known for their heavy duty safes, founded on high quality, innovative products, functional storage capacity, exquisite styling and advanced security. Liberty gun safes are constructed of hard steel with excellent craftsmanship. Most companies construct the bodies of safes out of one sheet of steel across the sides and back. These bodies are then capped with two separate steel sheets at the top and bottom to finish the safe. Liberty’s gun safes are welded in a different way – the steel sheets are bent along the sides, top and bottom. This makes no vulnerable seams along the top that can be forced open with hand tools. Also, Liberty Safes have amazing protection features, making the safe completely fire proof. For some safes, smokes can still enter the safe as a fire enter a certain temperature, as doors could bend a little and let smoke and heat enter because their bolts react to high temperature. With a Liberty Safe product, this won’t be a problem. Their products feature military-style locking bolts and anti0break hinges that are very tough. American Security or (AMSEC) is one of the oldest gun safe manufacturers in America. Operating since 1948, AMSEC provides safes for guns and other home valuables, as well as other safes for use in commercial establishments such as banks, supermarkets, restaurants and other industries. Its headquarters are in Fontana, California and they provide TL-rated safes. With AMSEC safes, you can be assured of quality and reliability. If you need a safe for 20 guns with a light kit that will resist fire up to 90 minutes, AMSEC has got it. And If you need a safe for 75 guns that will stay fireproof for up to 2 hours, AMSEC also has you covered. AMSEC gun safes are mostly large and fireproof for safety. They have “B” rate to UL’s TL-15 to TL-30 rating. Gun safes from AMSEC have 2” total wall thickness on all sides, featuring DryLight insulation and two more layers of steel for exceptional fire and security protection. It has 11-gauge outer steel layer, 12-gauge inner steel layer and a ½” solid steel doors. Also, AMSEC has a satisfactory customer service. Its service department is staffed with dedicated customer service representatives, a 24-hour helpline and thousands of factory-trained technicians. It’s easy to order a product from AMSEC because it has distribution points with direct access to all major domestic and international freight services. Browning Arms Company is well-known among shooting and hunting enthusiasts. It has dominated the firearm and sporting goods industry for 140 years. Browning was established in 1878 in Ogden, Utah, and since then, it manufactured many types of guns. For the past decades, it has entered the gun safe and clothing business. Their tenure in the firearm industry says a lot about the quality of their products. Browning gun safes and pistol vaults are manufactured by the company’s division called Browning ProSteel. The safes offer a mix of security, superb strength, interior convenience and fire protection. They are top of the line safes that carry a five-year warranty against workmanship and materials, and a lifetime warranty against damage from break-ins. Like Liberty, Browning safes are focused on fire safety. Their safes feature Thermoblock technology combined with other flame-resistant features. Even lower-end safes have a guaranteed fire safety minimum of around 1200 F for an hour. The bodies of safes are made of high-gauge steel, utilizing 12 gauge steel at the lowest to achieve RSC certification from UL. This means the safes are strong enough even against brute force attacks. Doors are made of robust steel face with reinforcement panels to keep it safe from burglary attempts. Browning safes offer different locking systems, such as mechanical, electronic and biometric locks. 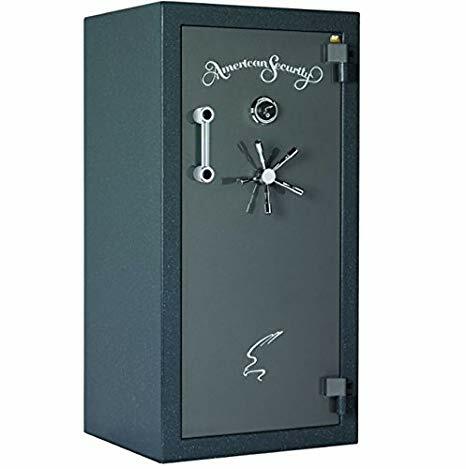 The Fort Knox brand has earned the reputation of “America’s Best” die to their quality gun safes and vault doors. They offer some of the thickest steel in the industry, and a huge selection of security upgrades that other brands do not provide. Fort Knox is a manufacturer of gun safes operating for more than 30 years, and all their models are made right from Orem, Utah. The strength of Fort Knox is – literally – the strength of their safes. As mentioned earlier, they provide some of the highest quality and thickest steel on the market, including a great variety of upgradable security options for all their models. Some of these features include a stainless steel barrier, extended body thickness, body steel thickness, corner bolts, additional steel liner and ballistic metal upgrade. In addition to security upgrades, what’s unique about Fort Knox is that they also offer complete customization of your safe including exterior color, hardware color, decals, safe layouts, lock type choices, and other interior accessory upgrades. Fort Knox surely thinks of the aesthetics, so you can proudly place it in your living room or game room. Fort Knox safes also offers a huge variety of storage option so you can accommodate any collection from just a couple of rifles all the way to a collection of 100 long guns. The fire protection aspect of Fort Knox vaults are also high-quality, as their Inferno Shield 90 is tested to keep the inside of the safe under 350 F. C-rated, UL-listed fireboard insulation materials are used on all six sides of the steel behind the hinges to eliminate hot spots. In terms of warranty, Fort Knox is the only company that offers true, comprehensive lifetime warranty that includes the interiors, lock, mechanism, handle/bolt work, clutch and body of the vault. 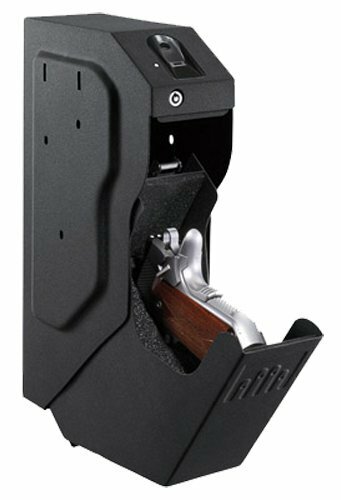 Founded in 1990, GunVault is today’s leading brand when it comes to quick access gun safes. If you check the best gun safes online, you’d see GunVault models popping from one review to another. Though relatively new in the industry, it’s really one of the rising gun safe manufacturers today. GunVault boasts of being one of the few manufacturers to provide revolutionary quick access technology, which are rare for safe locks. They provide the latest technology when it comes to gun safes, and the access options range from biometric units to fingerprint options, including the No-Eyes keypad technology and Bio Pad. They still also offer old-school, key-locking gun safes. The company offers wide range of products especially for small gun owners. You won’t find a lot of larger gun safes models from them. GunVault is one of the best brands to consider if you’re looking for a mini gun safe. The name Winchester brings to mind images of the Old West, the countryside barns, horses’ manes flying in the wind, and old cowboys driving herds of cattle, wearing their wide-brimmed hats and leather boots. The Winchester brand, on the other hand, has been providing “guns that won the west,” as the company has been manufacturing quality firearm and security products to Americans since 1866. Winchester is one of the oldest companies that manufacture guns, but they started manufacturing safes since 1991. To Winchester, reliability and integrity is important, and you can expect these things from their safes. Their products are manufactured using state-of-the-art methods that don’t sacrifice quality. More than firearms, they also offer safes that can provide security to other valuables in your home. Winchester is also the first company in the firearm safety industry to have their products listed by UL in the RSC category. So, you can be assured that their safes have been tested and are also burglar-proof. Winchester safes are also certified fireproof. While most gun safes in the market are fireproof up to 1200 degrees, most Winchester safes can resist temperatures up to 1400 degrees. The company offers a free theft or free limited lifetime warranty. It provides a replacement guarantee that covers free replacement (in case it is destroyed in a fire or damaged by a burglar), free locksmith service and a free curbside delivery. In case of fire or burglary, you’ll need to provide photos and a police or fire department report of the incident that damaged your safe to get your free replacement. The locks on the safes have a two-year warranty. Another reputable gun safe manufacturer, Mesa Safe has been in the business since 1981. It has an amazing backstory: It was founded by George Vicente, who started his safe career when he was only 16 years old. At a young age, he was well-aware of how locks work, and after four decades of being a locksmith, he designed the first Mesa safe made entirely from steel. He focused on delivering heavy-duty construction and state-of-the-art locking mechanisms. Mesa Safes assure you of a burglar-free and fire-proof safe. Mesa Safe is known as a pioneering company in the gun safe business. Besides gun safes, they also offer heavy-duty safes for depository and pharmaceutical purposes. Each model is designed to complement the different security needs of the user, but all Mesa’s safes can be used as a gun safe, though some are not designed with a firearm user in mind. The primary focus of Mesa Safe is security and protection. All of their models are made of 12-gauge thick steel and several locking bolts to boost security. Also, all safes come with re-locking mechanism and hard plate. Mesa Safes bear sophisticated electronic locking system guarded by an extra steel layer for maximum security. Their safes are also calamity-proof because their safes all go through extensive testing against fire and flood. Mesa Safes are fire resistant for up to 1200 F for 30 minutes. There are no weak spots in a Mesa Safe as it comes with no plastic or composite materials. Mesa gun safes come within the MBF or MGL series. The MBF is their best-seller, as it offers excellent overall protection and high-level security. The MGL series is for those who are looking for a more affordable security option. Mesa Safes come with a one year warranty to guarantee. If the safe suffers from harm due to fire or burglary within one year of purchase, the manufacturer will pay the damages done to the safe. Founded in 1930, SentrySafe offers fire-resistant security storage solutions worldwide. The company is one of the first mass producers of fire resistant safes, having received the first UL certification in 1955. For almost 90 years in manufacturing, you can be assured that their products offer high standards of quality, security, reliability, service and ease of use. The gun safes from SentrySafe are generally regarded to provide fire, flood and burglar protection. Their safes are tested to withstand these situations and various forms of damage. Safes are completely sealed and water-tight, and can resist fires up to 1700 degrees. This makes their safes best in offering digital media protection. Besides guns, you can store your important CDs, DVDs, flash drives and hard drives in there with absolute confidence that they won’t be destroyed in case of a disaster. Safes from SentrySafe are ETL certified for impact resistance. All safes were tested to withstand a 15 feet drop test, so it’s sturdy enough to remain intact even after a drop from the third floor. When it comes to security, safes feature digital locks that come with easy-access battery compartment.